Eliminating the obstacles to your growth by developing a strategic plan aimed at streamlining your operations and maximizing your infrastructure. To accomplish our goals we utilize standard Project Management principles and methodology. Where M.T. Fiore & Associates, LLC differs in their approach is the addition of a “Best Practices” Methodology for Application Development and Integration. To combine project management and technical "Best Practices” we have developed an integrated methodology called Enterprise Management Practices. The Enterprise Management Practice in a distributed environment, as most companies have, addresses the challenges businesses face with a large set of variables and inter-relationships crucial to productive time, availability, capacity and scalability. M.T. Fiore & Associates, LLC Enterprise Management Practices has developed a project methodology that provides an approach for identifying, analyzing, designing, implementing and supporting solutions that address these issues in a logical step-by-step process. Every situation and every client is different. M.T. Fiore & Associates, LLC's methodology enables companies to identify the opportunities for improvement and growth. Company leaders who realize they’re not achieving revenue goals or who are unable to accept new business due to capacity constraints rely on us to clear a path. We remove the obstacles so our clients can grow in a controlled and profitable manner. - We provide the skills to work with employees and manage them through the growth process. - We provide the Problem Solving & Strategic Planning skills to keep the company growing without chaos. - We provide the ability to make sound judgements based on tenure and experience during the growth process. - We provide the dedication and tenacity required to stay focused on the corporate goal. Our professionals are available to serve as interim managers, thereby adding depth to a company's existing management. We understand the interaction between finance, strategy and operations. Our goal is to achieve bottom-line results quickly and efficiently. "We are very pleased with the leadership, technical expertise, project management, and work ethic of M.T. Fiore & Associates. They are knowledgeable enough to make poignant observations and dedicated to the advocacy of their clients. Mike and his team operate as though they are my partners versus outside consultants. I highly recommend Michael Fiore and his firm." James D. Lesser, President of Simple Brands, LLC. "M. T. Fiore Consulting has been a tremendous help in getting my business up and running. They are able to offer guidance on any aspect of the business. Having M. T. Fiore Consulting allowed me to focus on the things that I do best. Mike Fiore helps me on a daily basis and also with planning for our future. I have full confidence and comfort knowing that Mike and his team are working with me." 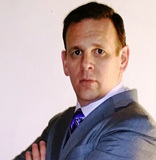 Jason King, President of Studioality, LLC. An operational and management consulting firm focused on utilizing existing IT tools to increase functional efficiency. These initiatives as well as other services are provided through M.T. Fiore & Associates, LLC and vertical partners. We have established partnerships with Accounting firms and Project Management Service Providers specializing in the SMB marketplace. We also partner and resell for Help Now, LLC , a local Managed Service Provider for all IT related needs. Having these partnerships in place allows M.T. Fiore & Associates, LLC to manage your entire project or business initiative as the Project Manager to fruition.